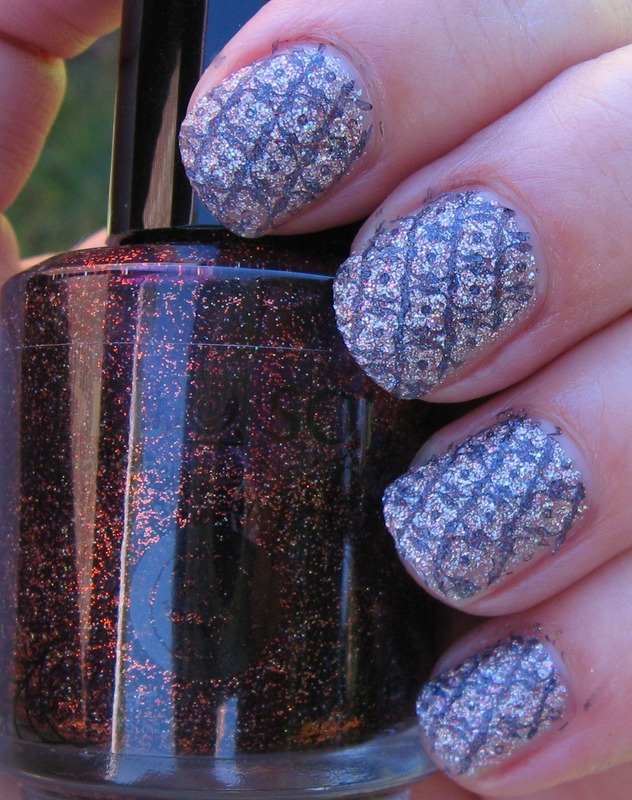 I wanted to play around a bit with Del Sol's latest seasonal polish, Trick-or-Treat, to see how it worked as a Konad stamping polish. If you missed my original post showing Trick-or-Treat, you can view that here. Below is an indoor photo of Color Club's Hocus Pocus from their Bewitching Halloween mini set. This also has the Del Sol polish stamped over it using plate #m70. 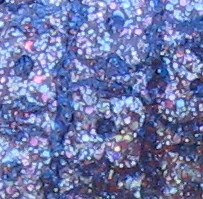 Below: After less than 15 seconds in the sun, not only do you see the mess around my nails that I couldn't see before coming outside--ha, ha!--, but the stamping image shows up. Below: In the shade after just a few seconds, the image begins to fade. Below: Macro shot in the shade. This was just a very quick look I did, but I can imagine quite a few of the possibilities using Trick-or-Treat. 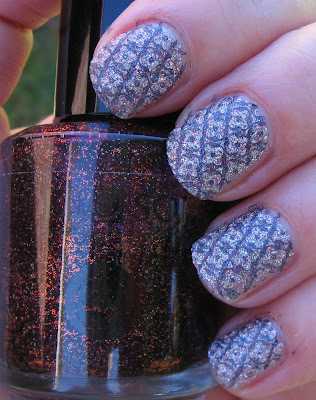 If you have an image plate with Halloween themes, you could paint your nails orange and then stamp Trick-or-Treat over them. I wonder how this would look if it were sponged over a lighter shade? A French tip over green or orange for Halloween, as a base color then Konad stamped with black...lots of potential for this shade. It's not a color in or out of the sun that is specific to Halloween, so it isn't limited to just this season. Can you think of any good combinations, ideas or designs that Trick-or-Treat would work well for? That is a great idea! 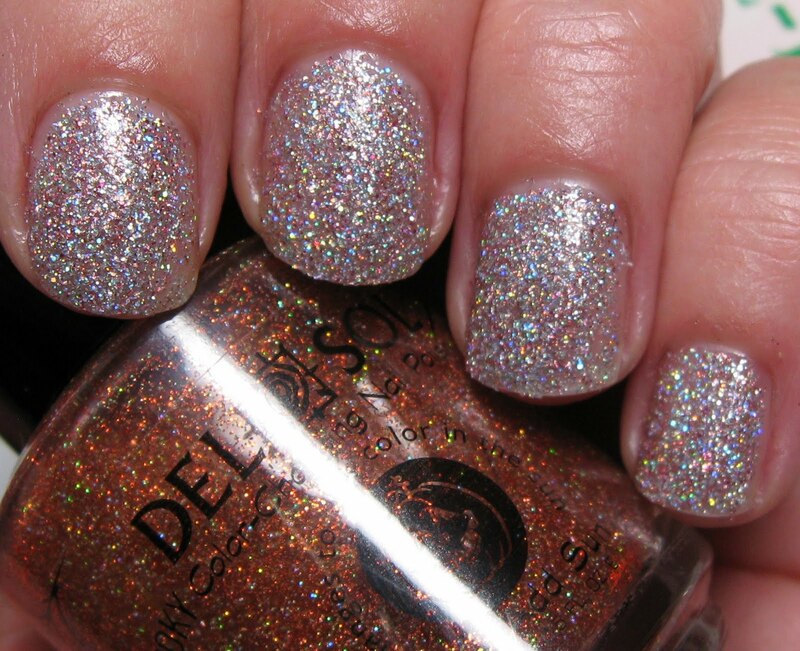 I do believe I saw these Del Sol polishes available here.. I think now I will have to bring a polish or three!! Wow! I've never been quite as mesmerized my nails/nail polish as this! I want some glitter! What a great idea! Good job stamping blindly too ^.^ Love it! Love it. . . . I bought some stuff when I was on the cruise last week from Jamaica! Love the store, Hope to have one here! This is an amazing manicure. I don't own any of these type of polishes. I really like this polish. You've done a fantastic manicure. That is so cool! I'd never thought of using Del Sol for a Konad before. You have such beautiful pictures of this color!! I tried it over a few polishes to see how it looked and it's pretty awesome over brown! so cool! 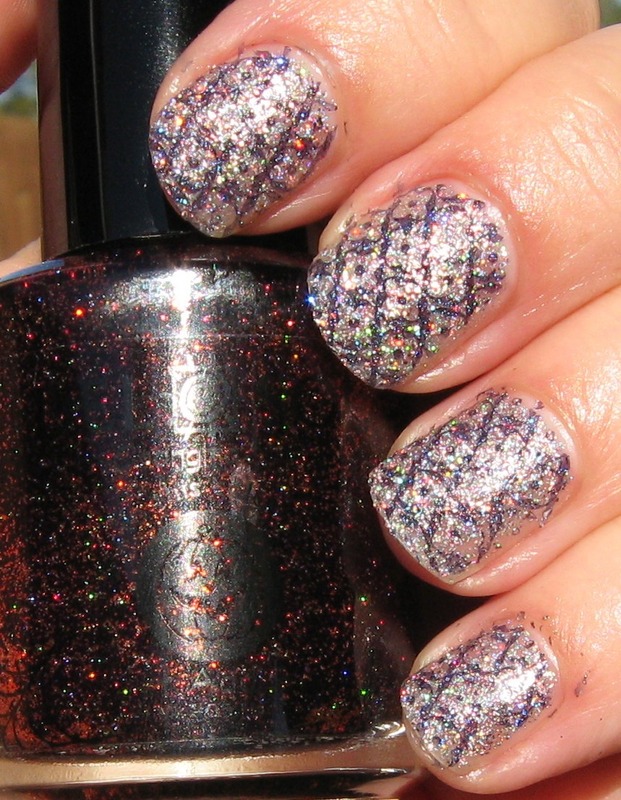 I'd never have thought to konad with a color change polish!